Rebecca Hatcher Travis bases the poems in this exquisite collection on memories of her Chickasaw family and the Oklahoma landscapes that surrounded her as a child. Her poems also serve as testimonies to the ancestors who have passed on to the next life. Picked Apart the Bones won the 2006 First Book Award for Poetry from the Native Writers Circle of the Americas. 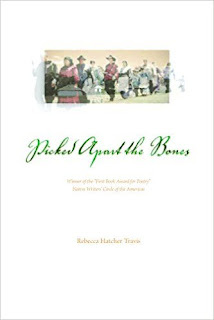 ABOUT THE AUTHOR: Rebecca Hatcher Travis, an enrolled citizen of the Chickasaw Nation, often writes of her indigenous heritage and the beauty of the natural world.